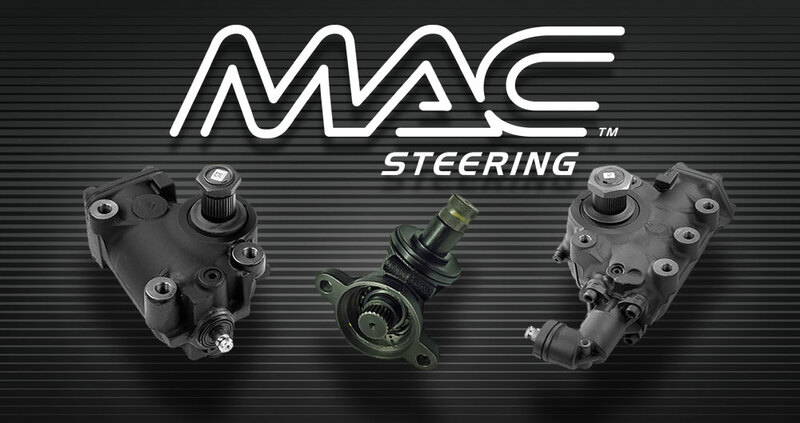 MAC™ Power Steering Boxes have been remanufactured in the UK for more than ten years. We have decided to add the high quality MAC™ range to our existing commercial vehicle products to give our customers an improved service. MAC™ Steering Boxes have proven highly successful over the past decade and we are confident we can provide all of our customers with a high quality product, delivered when you need it. This is a safety critical item and we know how important it is to offer a high quality remanufactured product. We have a very closely monitored manufacturing process in place and there are stringent quality checks that have been put in place to ensure all of MAC™ steering boxes meet our exacting standards. We have a range of the latest test equipment that is used to simulate the road conditions that each steering box is subjected to. Our functional test process adheres to Original Equipment test procedures and specifications. Each unit is tested for internal and external leakage. The input shaft is tested under load to ensure the internal valve is in a balanced condition. The unit is further tested under load (pressure) and to ensure the steering returns to centre. Considerable stocks of our range are held in stock to meet your requirements with the added service of ‘remanufacture and return’ of your old unit where a product is not readily available. We remanufacture all brands of steering box to include ZF, TRW, Mercedes, etc.